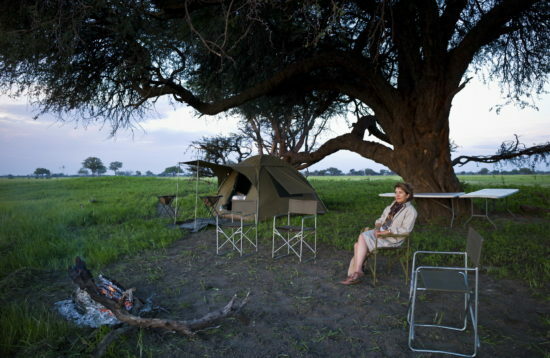 Mobile camping safaris allow one to get off the beaten track, closer to nature and really be part of it. Mobile safaris tend to be best if at least 3 nights are spent in each location. A nice option can be to combine a camping and lodge trip where you camp for a few days and then stay at a lodge. The safaris are offered in various different comfort levels, although the standards of camp tend to be high. 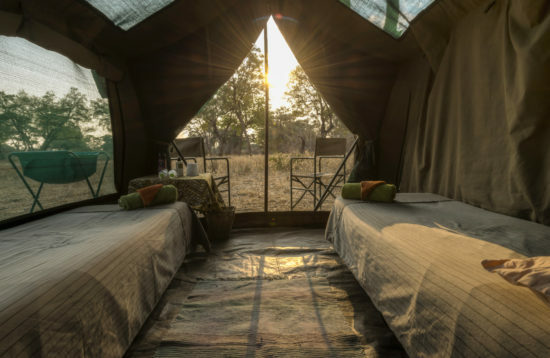 Options include semi-participation (where client basically only pitches his/her tent) and luxury mobile safaris offering the finest tented camping experience imaginable. Flush loos, showers and 5 star catering (including ice) are all provided for. There are some companies that run scheduled trips that clients can book onto- these are the perfect camping experience for individuals or couples looking to join up with other guests. Or there are tailor-made trips to suit length of time, interests, budget and size of group that you want. Tailor-made safaris tend to be expensive if there are only one or two clients but on the other hand can be quite reasonable for a larger group of say 6-8 people. 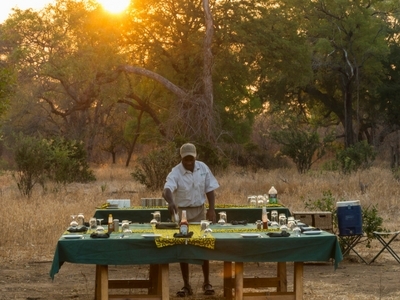 The unique safari experience of a mobile safari, whether scheduled or tailor made - allows guests to have their own personal guide and safari team for the duration of the trip. Safaris are conducted in specially modified safari vehicles with open sides – ideal for viewing game close up and for taking photos! The trips are always led by an experienced professional driver-guide and with a team of staff to assist in making the overall camping experience one to be remembered.